West Virginia senators Joe Manchin and Shelley Moore Capito have announced that Jessie’s Law has been passed by the Senate. The legislation is intended to ensure doctors are provided with details of a patient’s previous substance abuse history if consent to share the information is provided by the patient. Jesse’s law takes its name from Michigan resident Jessica Grubb who was in recovery from opioid abuse when she underwent surgery. She had been struggling with addition for seven years, but prior to surgery had been clean for 6 months. Her parents, who were at the hospital while their daughter underwent surgery, had repeatedly told doctors not to prescribe opioids unless their daughter was under the strictest supervision. However, her discharging physician gave her a prescription for 50 oxycodone tablets. Grubb overdosed and died the same night she was discharged from hospital. Her discharging doctor did not receive the information about her history of opioid use. The Department of Health and Human Services will be required to publish guidelines on when healthcare providers are permitted to prominently display details of a patient’s history of opioid use on their medical record. The bill will now proceed to the U.S. House of Representatives’ Committee on Energy and Commerce for consideration. Congressmen Tim Murphy and Earl Blumenauer introduced a similar bill – The Overdose Prevention and Patient Safety (OPPS) Act (HR 3545) – late last month. 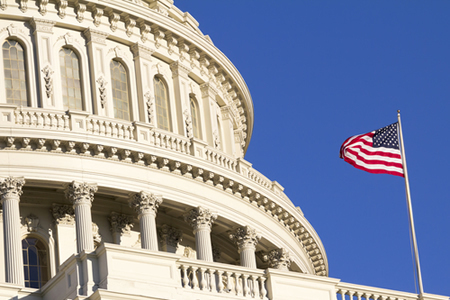 The bill is intended to align 42 Code of Federal Regulations Part 2 (Part 2) with HIPAA rules and will ensure doctors have access to their patients’ complete medical histories, including details of addiction treatment. Details of addiction treatment are prohibited from being shared with doctors. However, without access to full medical records, tragic incidents such as what happened to Grubb could occur time and again. A coalition of more than 30 healthcare stakeholders wrote to Reps Murphy and Blumenauer to express support for the bill. In the letter, the coalition points out that while the Substance Abuse and Mental Health Services Administration (SAMHSA) recently released a final rule that will modernize Part 2, the final rule does not go far enough.